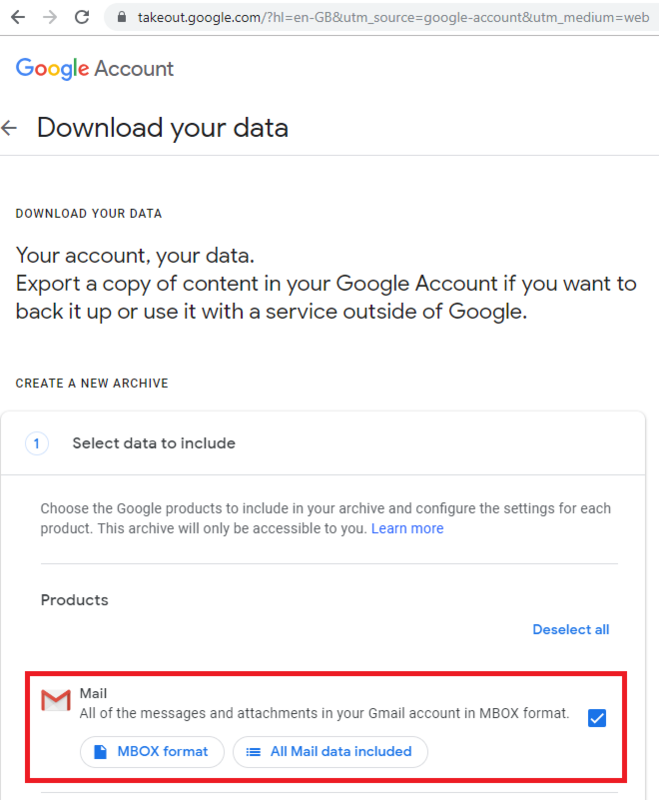 I Have 6 G-Suite email accounts I need to remove however some of my staff still requires the contents of those Gmail accounts as they span 3-6 years and have a lot of historical data. I am looking for a way to Export the emails into a drive like structure, or individual files (with attachments) so they can be searched in Drive. Are there any tools that can do this? A few of these email drives have upwards of 20gb of email. Google provides an data export function with several different options, both for the format and where to export to. You can read more about the tool here. Not the answer you're looking for? Browse other questions tagged gmail export or ask your own question. How to export a single email folder from Gmail?